Could it turn into a PayPal competitor? Will Facebook users like using their social log-ins for payments? 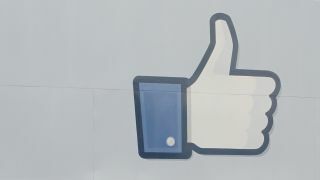 Facebook is gearing up test a new service that would take some of the tediousness out of making payments on mobile apps, just by using their Facebook credentials. "Facebook is working on a very small test that lets people populate their payment information already on file with Facebook into the checkout form of a mobile phone app when they are making a purchase. "The app then processes and completes the payment with their existing payments provider. The test makes it easier and faster for people to make a purchase in a mobile app by simply pre-populating your payment information. It will be a very small test with 1-2 partners." As for details, AllThingsD reported users' credit card information will be stored with Facebook, and making mobile payments will be as easy as logging into the social network. It's important to point out that as it stands, the test looks to create a better mobile checkout experience, not take over payment processing. However, overtime, Facebook's service could prove a competitor to services like PayPal. For now, though, Facebook is denying any such aims. "We continue to have a great relationship with PayPal, and this product is simply to test how we can help our app partners provide a simpler commerce experience," the company's statement read. "This test does not involve moving the payment processing away from an app's current provider." Of course, Facebook could just be playing the diplomat, so we'll keep an eye on how the service unfolds and whether PayPal should consider finding new friends. The service's success will hinge on popular apps adopting it at a rapid pace, and already one has signed up. Facebook's test partner for the payments service is JackThreads, a men's clothing site owned by Thrillist. According to AllThingsD, JackThreads and Facebook already have a good relationship, the app gets plenty of mobile purchases, and the demographic for JackThreads overlaps nicely with a group that's already provided its credit card numbers to Facebook: gamers. In addition to simplifying mobile payments, the service will ostensibly provide Facebook with valuable information about its users' purchasing habits, though it's unconfirmed if and how Facebook will use that data. Facebook payments is not the only change coming to the social network; news feed video ads could be next.